Ukraine's SBU Security Service expects Russia-inspired seizures of religious buildings in Ukraine against the confrontation of believers and actions, which subsequently should lead to forcing Ukraine's leadership to peace agreements on favorable terms to Russia. "The goal [of the plan of the Russian Federation] is to create the so-called controlled chaos. The main directions that we see today: incitement of interfaith hostility, which is due to the possibility of Ukraine receiving a tomos (ordinance), as well as organizing activities of active influence with the goal of so-called forcing the Ukrainian leadership to aggressor and the initiation of peace negotiations on favorable terms," SBU Deputy Head Viktor Kononenko said at a briefing in Kyiv on Wednesday. 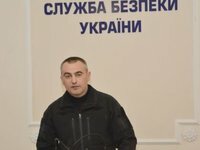 According to him, in the first case, the SBU is expecting "instigation of seizures of religious buildings of one of the denominations allegedly by representatives of right-wing nationalist organizations, which will allow further instigation of power confrontations and mass protests with the participation of believers." Kononenko said there also could be pickets, protests, sending petitions and appeals to government bodies demanding to resume peace at any cost. "In the future, this movement could become organized and grow into simultaneous protests in different cities of Ukraine with the further sending of delegations to the capital and blocking state bodies. The goal is to force the government to sign peace agreements on favorable terms to the aggressor," he stressed. Kononenko assured that the Ukrainian secret service is effectively working to prevent the implementation of these plans.